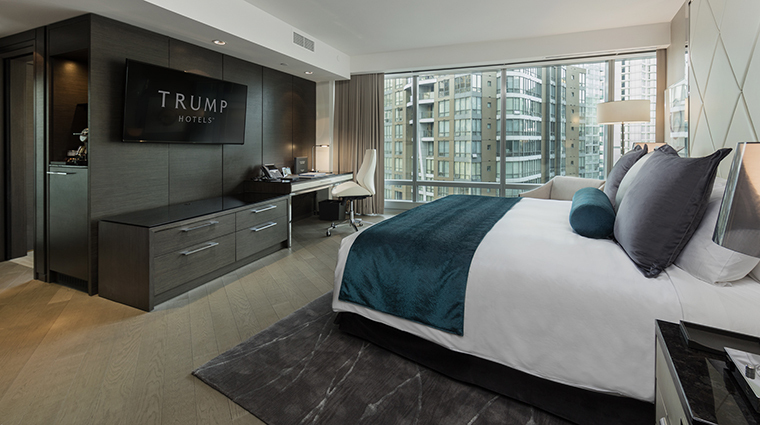 Vancouver’s skyline is punctuated by its second-tallest building, the new Trump International Hotel & Tower Vancouver. Designed by famed Canadian architect Arthur Erickson, the first 21 floors of the 616-foot-twisting skyscraper make up the chic Trump hotel. 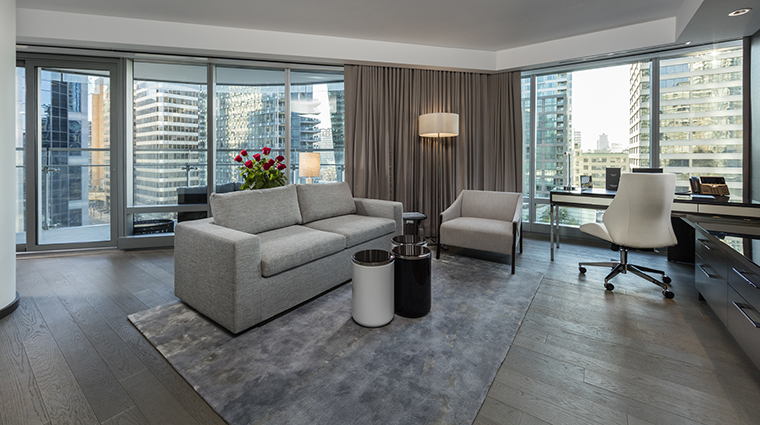 Guest rooms range from 343 to 1,500 square feet and each has a slightly different layout, thanks to the innovative building design. 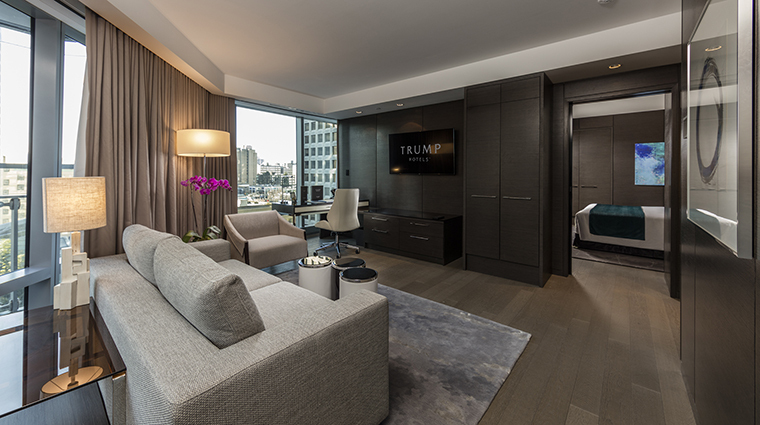 Situated in the city’s Golden Mile of high-end boutiques, Trump Vancouver combines glamour and understated design to create a space that exudes quiet opulence. 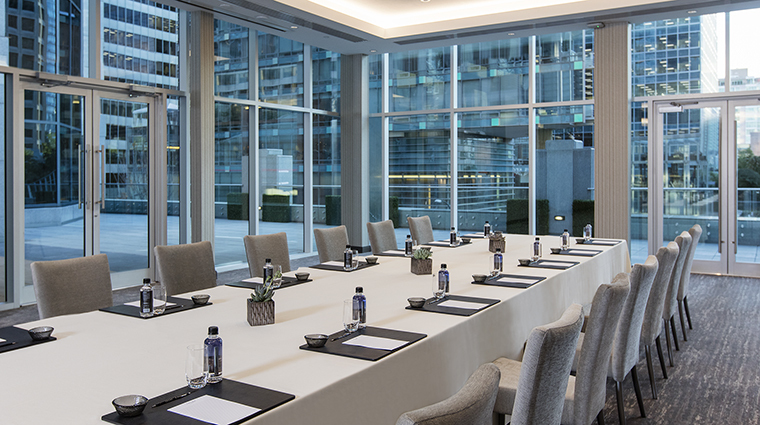 A muted color scheme and extensive meeting facilities bring a business-friendly air to the hotel, but this is softened by local West Coast touches, such as meeting spaces named after Vancouver neighborhoods, light woods in the rooms and locally sourced drinks in the private bar. 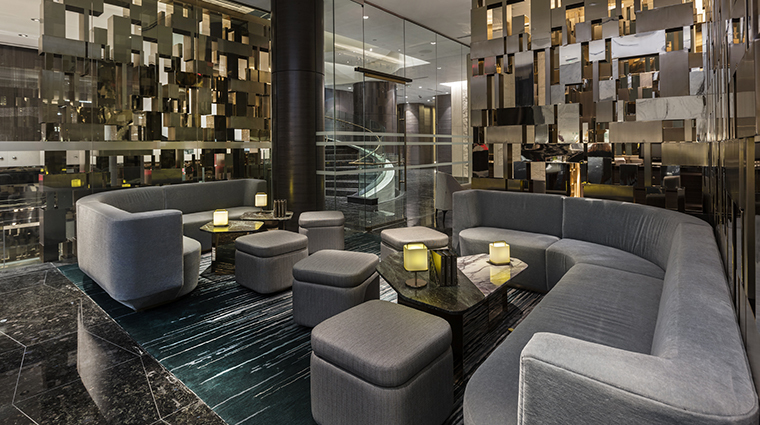 Trump International Hotel & Tower also brings a couple of firsts to the city with Drai’s Vancouver, the Vegas-inspired poolside lounge, and Mott 32, the sister restaurant to the renowned Hong Kong original. The architecture of Arthur Erickson’s innovative triangular design is something to behold — it twists up to 45 degrees from the bottom to the top of the skyscraper. 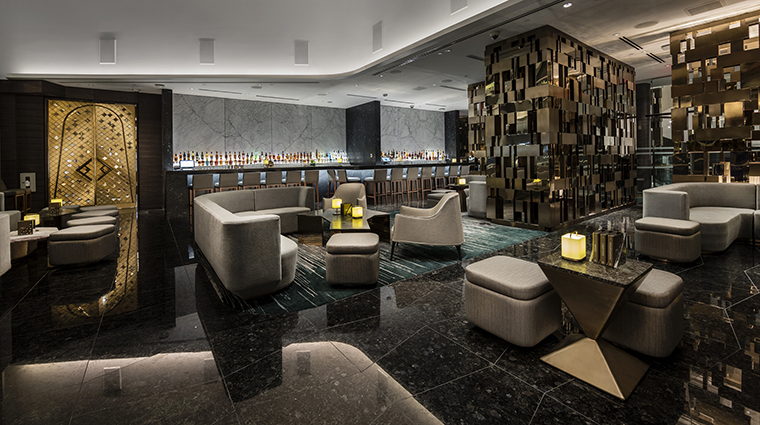 You will want to linger at The Trump Champagne Lounge, a sleek and sophisticated setting where you can unwind with some great bubbly. Hot spot Drai’s is a place where you can lounge by day and dance all night surrounded by palm trees, lush greens and, of course, stellar views of the city. A pedicure at The Spa by Ivanka Trump involves resting on one of the thrones that look out over Vancouver. 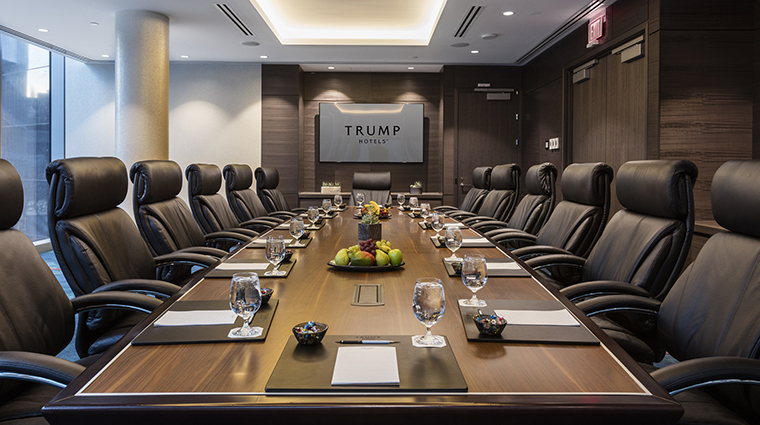 The Trump Attache concierge/butler service is helpful in many ways, from arranging personal shopping, to customizing your guest room to scheduling the use of the hotel’s chauffeured Rolls-Royce Ghost Series II car service. 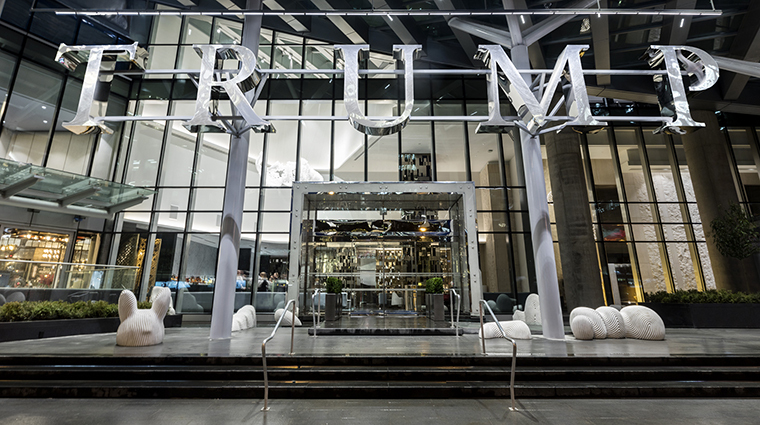 The grand West Georgia Street entrance to the luxury Vancouver hotel will lead you straight into The Trump Champagne Lounge, not to the reception desk. 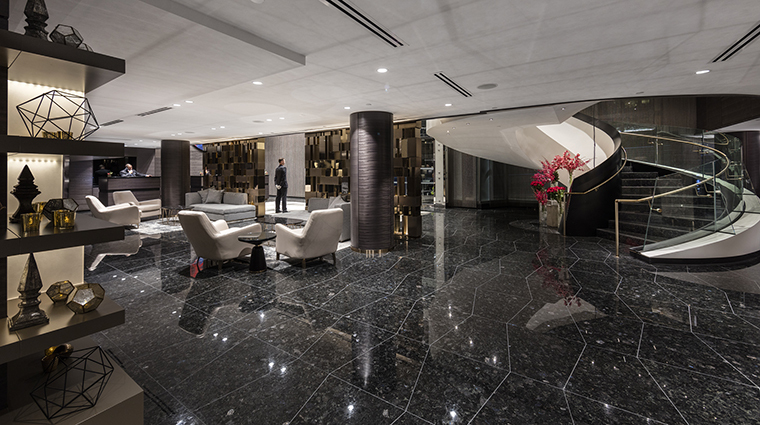 Arrive via the side street entrance to reach the lobby. Experience local artwork through the 180 pieces created by Mexican-born Vancouverite Miriam Aroeste. The pieces are inspired by the theme of love and inclusiveness. Stay fit on the road with at the fully outfitted gym with Technogym ARTIS equipment and order healthy, tailored-to-your-nutritional-needs dishes from room service. Forget your workout clothes? 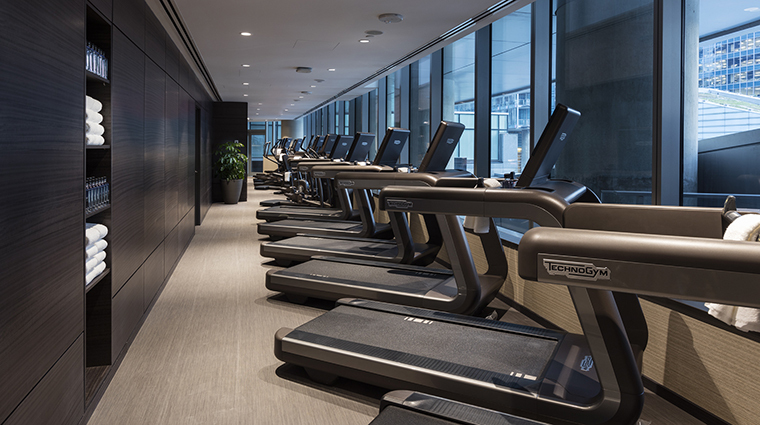 The luxury hotel can provide footwear and apparel by Under Armour, plus deliver light workout equipment to your room. 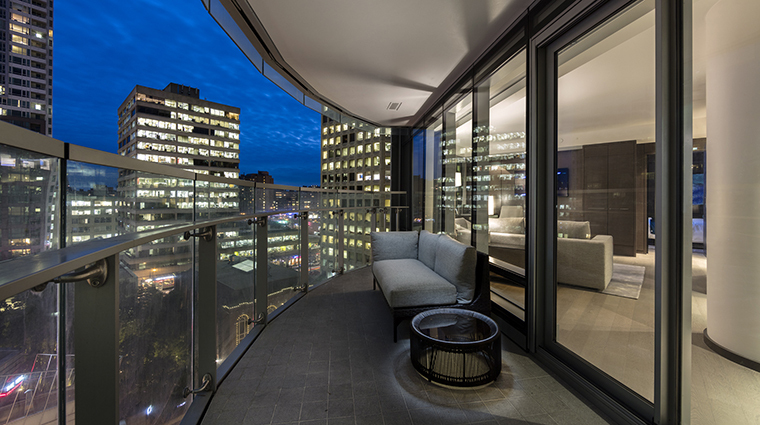 The guest rooms reside on the first 21 floors, so ask for a higher floor to get the best views of Vancouver and beyond. Every floor-to-ceiling view and layout of the 147 rooms are different. 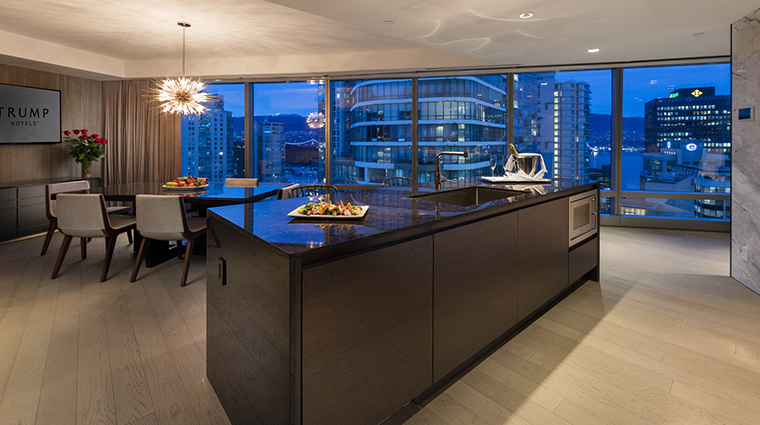 Northwest-facing rooms are more likely to have a view of the North Shore mountains or Stanley Park. Some accommodations also have terraces. 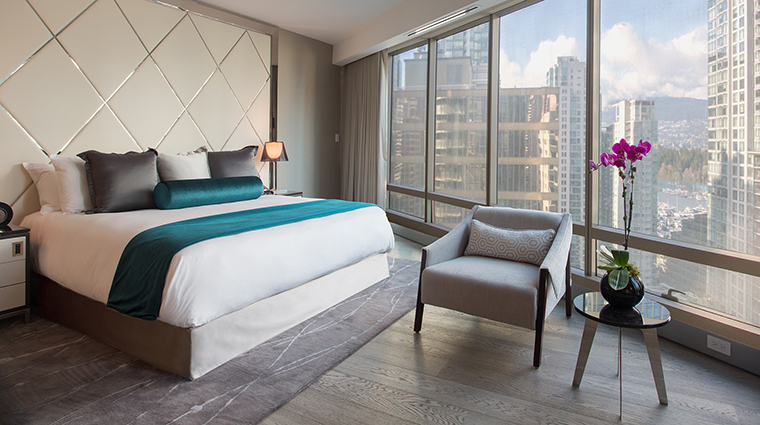 Rooms are lavishly furnished, with leather and chrome headboards, European oak hardwood floors, and spacious wood wardrobes. A sophisticated palette of neutrals — grays, chocolate browns and creamy whites — sets a serene tone. 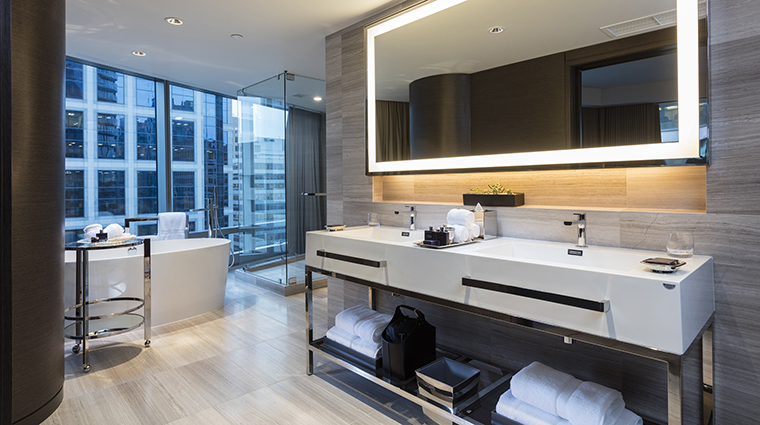 Soak up the views in the suites’ freestanding Victoria and Albert soaker bathtubs. 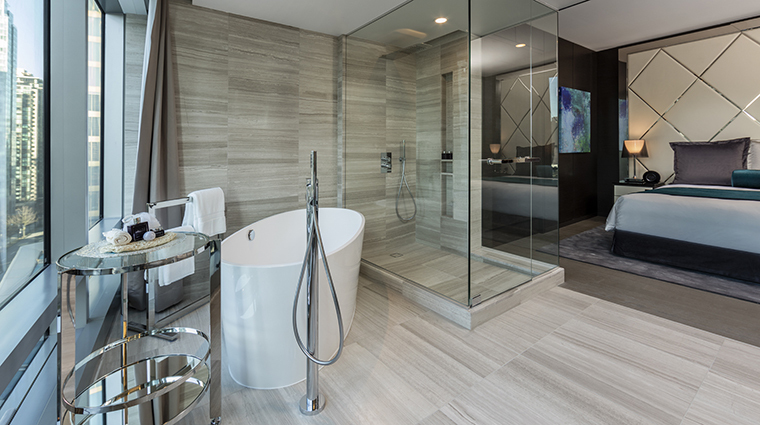 The bathrooms in all guest rooms are finished with Nublado Italian heated marble and Toto granite sinks. 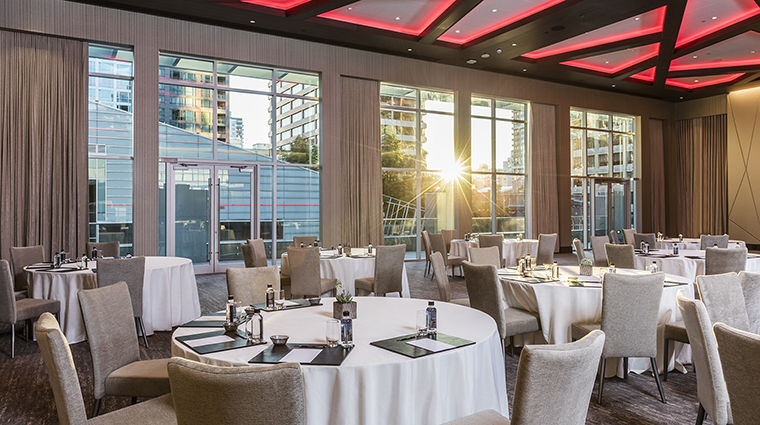 To get a taste of Vancouver, open the minibar, which showcases an impressive array of local products from British Columbia; indulge in Whistler Chocolate, Le Vieux Pin wine or coconut cluster Hippie Snacks. 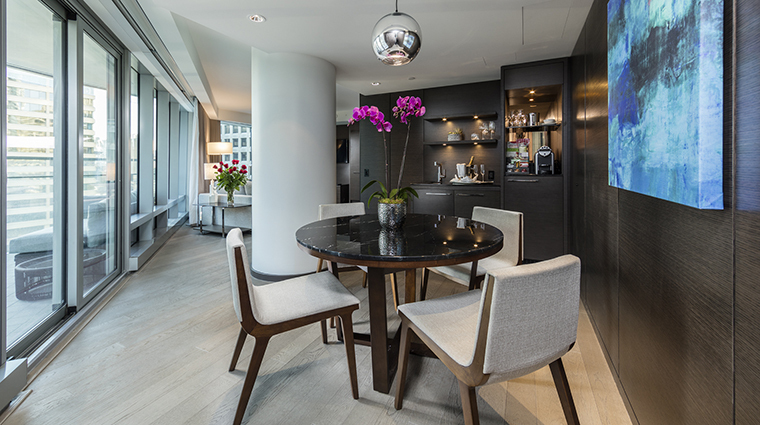 Technophiles will love the high-tech Crestron touch screen system that controls everything in the room, from the lighting and shades to the temperature. Come nighttime, head to Drai’s for bottle service and a set by one of the city’s hottest DJs. In the evening, the pool is covered to become a dance floor. Foodies flock to Mott 32, which is the only sister restaurant to the Hong Kong original. 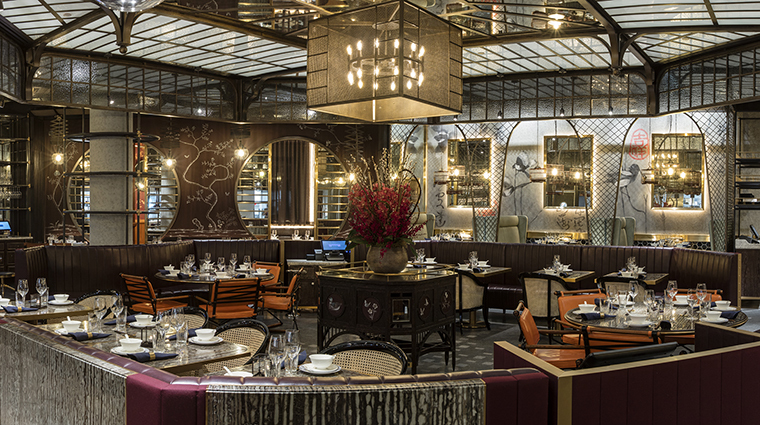 Order the signature Peking duck 24 hours in advance or tuck into Cantonese-, Sichuan- and Beijing-inspired dishes such as spicy dim sum and crispy roasted pork belly. While The Trump Champagne Lounge serves up sparkling wines and champagne, you’ll also find creative cocktails like the West Coast-inspired Jupiter’s Knot, served on a wooden plinth with campfire smoke. 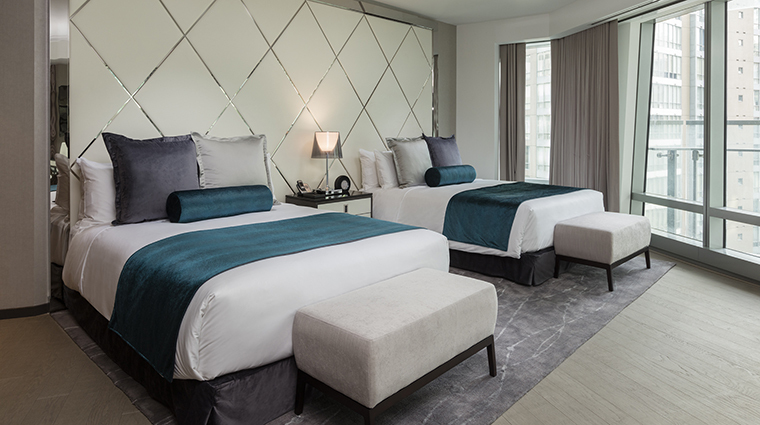 Enjoy breakfast (or lunch or dinner) in bed as 24-hour room service caters to busy business people, health-conscious travelers, young guests and even four-legged friends with doggy delights.